One of Ayia Napa's newest and most fun daytime activities. Water Football is a popular fun activity to take part in during the summer. On hot summer days, it feels good to kick the ball while the water is cooling you down and it is fun for all as you may produce spectacular falls on the slippery pitch without the danger of pain and injuries. 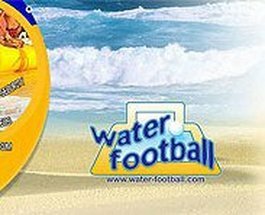 Water football is also a first-class team game, it brings together colleagues, family members and friends. Comparing your football, and "ice dancing" skills can be hilarious and is suitable for everyone, young and old, men and women, experienced and people who have never played football before. Thanks to the protective equipment and to the strict safety standards, Water football is very safe.